And any other craftiness I can come up with! 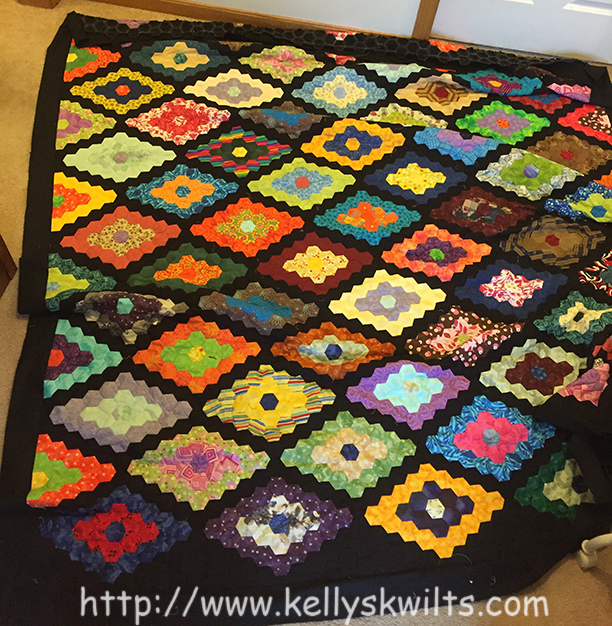 In June 2012 I finished my first hexagon quilt and started the next one – Hexie Diamonds. It was supposed to be finished in 2013 and used as a quilt for the bed in our trailer – but I worked on it slow and didn’t finish it when I thought I would. In July 2014 I finished the center – all 2,473 hexagons! It’s taken me another 17 months to put the borders on! I’m happy to say it’s now a finished top, not the best picture but the best place to take a picture is the living room floor and the kids have toys all over the place still! 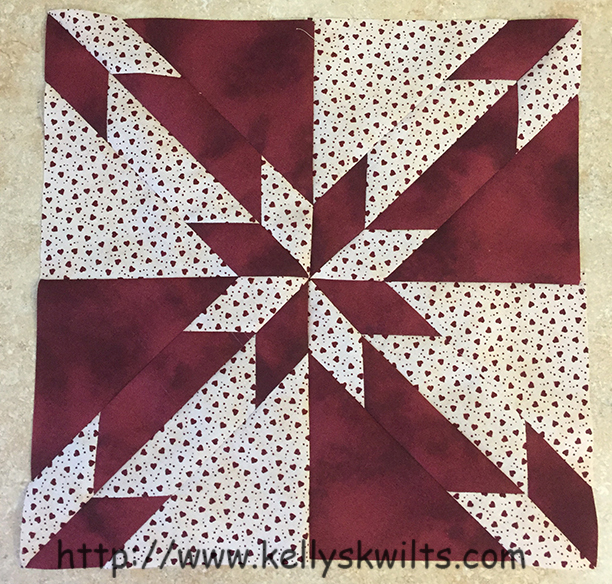 With all my top finishes I’m up to 16 that need quilting – so I guess 2016 will be a year of quilting! My brother-in-law got my name this year and got me The Big Bang Theory Lego set (we love that show!) and the Hunter’s Star Go die. I made one block last night after we got home and I THINK I have enough of the same fabric to make another. I’ll turn it into a table runner if I can find some fabric that matches it. It’ll be cute for Valentine’s Day! My fabric is on it’s way for Star Crazy, I’m not seeing a tracking number but it’s coming USPS Priority Mail and it’s only a few hours south, so I’m hoping it will be here Saturday. We have no plans for the weekend and I hope to spend as much time as I can in my office sewing! I hope to be back later and do a year in review post, might not get to it today though we are heading back down to my mother-in-laws to spend time with family before they leave tomorrow. Next PostNext Alex’s Quilt – Done!